General Management of the Oakland A's baseball team, Billy Beane and Paul DePodesta, introduced a radical concept to the game of professional baseball. As portrayed in the movie Moneyball, factor-based thought process changed the way the game is played. Generally, the idea behind their brain child was to select statistical criteria in players that increased the odds of winning. It wasn't a magical algorithm or a stroke of genius, but a stripped-down, hard look at logic and common sense. The basic premise is this. At the end of a game, the team with the most runs wins. So what do you have to do first in order to cross the plate? You have to get on base. Forsaking all the traditional wisdom and subjective measures used to select players, Beane focused squarely on players with high OBPs (On Base Percentages). It didn't matter if a player had a funny throwing style, couldn't field the ball or had an ugly girlfriend (best line in the movie) suggesting he lacked confidence. If he could get on base, the odds of winning improved. Despite the derision from fans that ensued, Beane clung to his theory and magic happened. 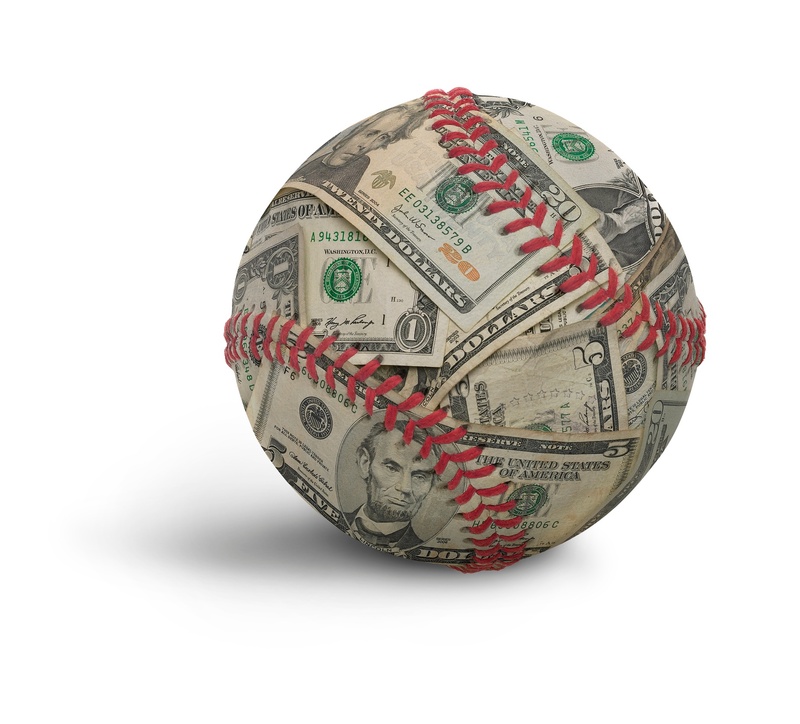 So let's apply the Moneyball concept to managing money. What's the first rule of being successful at managing money? Don't lose it. It's a very simple idea that is every bit as hard as hitting a 90 mph pitch from 60 feet, 6 inches away. The Moneyball factor based thought process seeks to de-emotionalize the decision making process and maintain focus on facts, maximize discipline to the strategy and minimize mistakes. In the movie, that's why Beane always listened to the games from the clubhouse to remove the romance from the game and stay focused on execution. So let's change the narrative for a second. How would baseball change if the home team was allowed to put a runner on first every inning and the visiting team wasn't? How would the "wins at home" statistics change with such a decided advantage? Similarly, how would your return on invested assets change if you could anchor your portfolio with an asset class that wouldn't lose money and appreciated over time consistently? Remember Rule #1...Don't lose money. Despite conventional wisdom and perhaps a "Too good to be true" perception, there is such an asset class. Senior Life Settlements. Alternative to market-based instruments, life settlements are a whole different ball game. Akin to the baseball analogy, settlements would be like each team having a robot in the lineup that gets on base every at bat. Life settlements are a different kind of investment. They do not depend on the skill and discipline of a money manager or for economic and geo-political stars to align to be effective. The simple idea behind a life settlement is this: an investor is buying the spread between their cost basis and the face amount of a life insurance policy at a deep discount. The investment is never worth less than the face amount of the policy. Life settlements are highly non-correlated to the volatility that plagues stocks, bonds, real estate, etc. It is perhaps the strongest passive investment strategy available today. As a core holding in a portfolio, a life settlement acts like an absolute return vehicle. When a policy matures, the net death benefit of the underlying life insurance policy pays out to the investor. The spread is known in advance. Moneyball on autopilot. Capstone Alternative Strategies is an expert in the Senior Life Settlement field. We apply the same Moneyball concept to our practice to be opportunistic, efficient and vigilant in risk management. Put your money in scoring position. To continue following us, please subscribe to our News and Views blog by visiting our section on our website. To learn more about us and how we can be a resource in this space, contact Jason Bokina at 404-504-7006 or email contact@capaltstrategies.com.